It is apple season, and the markets are filled with every type imaginable. Apples are low in calories, high in dietary fiber, and have a naturally sweet yet slightly tart flavor. Seeing all those apples at the greenmarket made me long for warm baked apples, filled with cinnamon and spice. My idea was instantly met with dissent. Apparently, some feel the best part of an apple pie is the crust. This week’s Unrecipe shows an exercise in compromise. I got my baked apple, they got their piecrust, and all is right in the world; for the time being. Core the apples, gently scooping out the centers to create a well. This can be done with an apple corer, or by cutting a hole in the top of the apple with a paring knife, and using a grapefruit spoon to scoop out the seeds and core. In a separate bowl, mix together about ½ cup each of oatmeal and brown sugar, depending on how many apples you wish to stuff. Add a liberal amount of cinnamon, and a little nutmeg, ground cloves, ginger and allspice. You can also add nuts or raisins at this stage if you like. 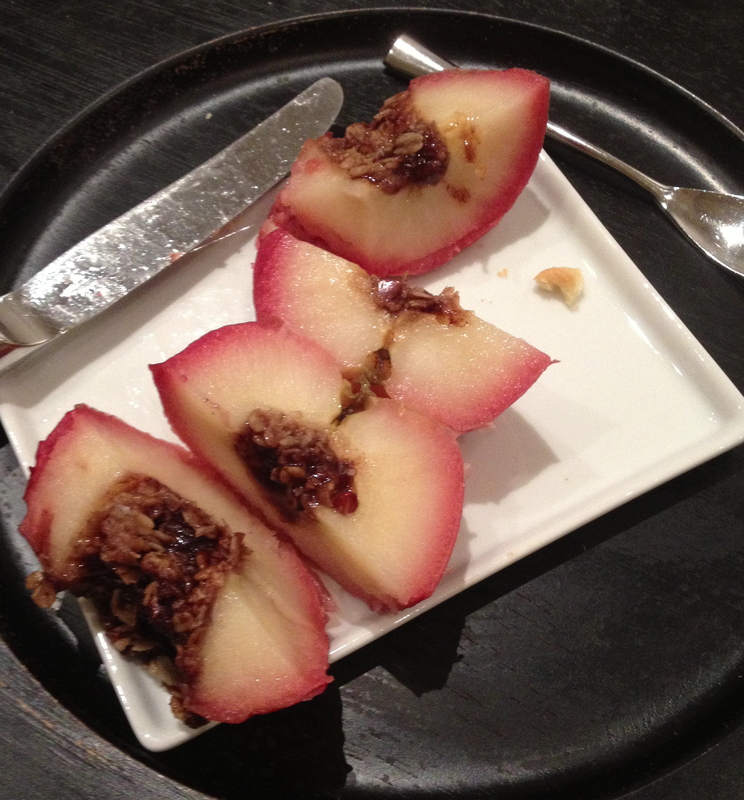 Spoon the mixture into the well of the apple, pressing down with your finger to pack it in tightly. Dot each apple with a pat of butter. 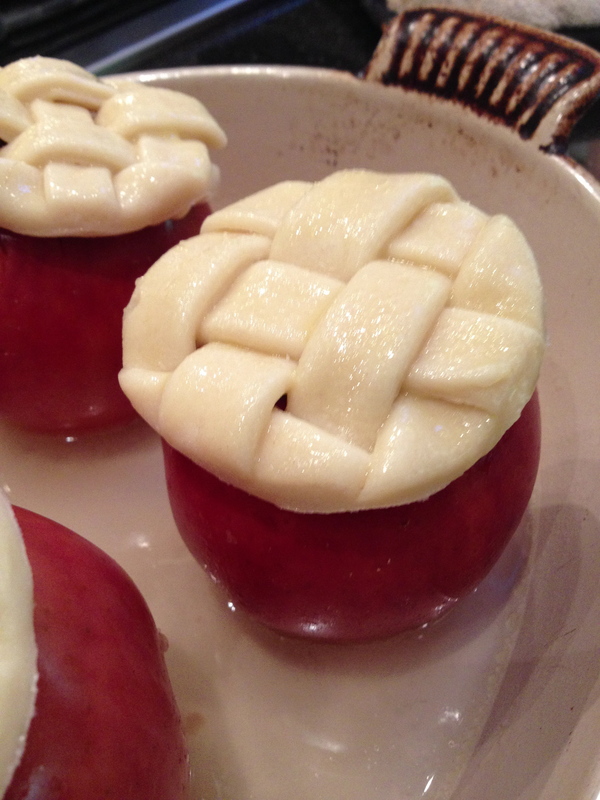 Place the apples in an ovenproof dish and fill it with about 1” of water. Cover with foil and bake in the oven for about 25 minutes. At this point, the kitchen will smell heavenly! Mix together 1 stick of butter, 1-½ cups of flour, a pinch of salt and a little sugar. Once the ingredients are mixed, begin adding ice water (it should take about 4 tablespoons) until the dough comes together into a ball. For more complete instructions and piecrust tips, click HERE. Roll out the dough on a floured cloth or parchment paper. 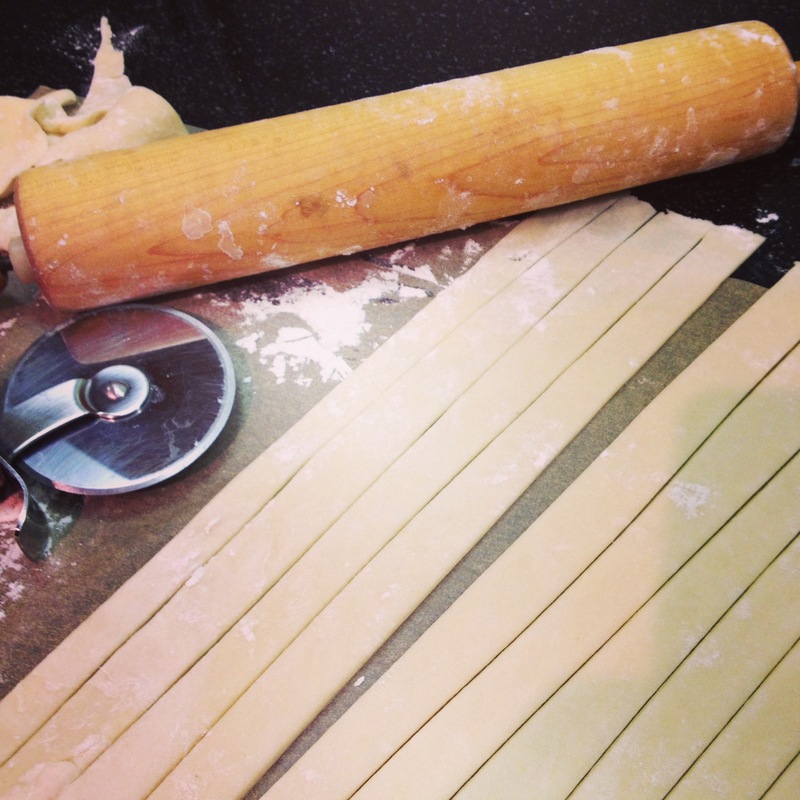 Using a sharp knife or a pizza cutter, cut the dough into long strips. Weave the strips into a lattice pattern and cut the lattice into circles just large enough to fit over the top of the apples. 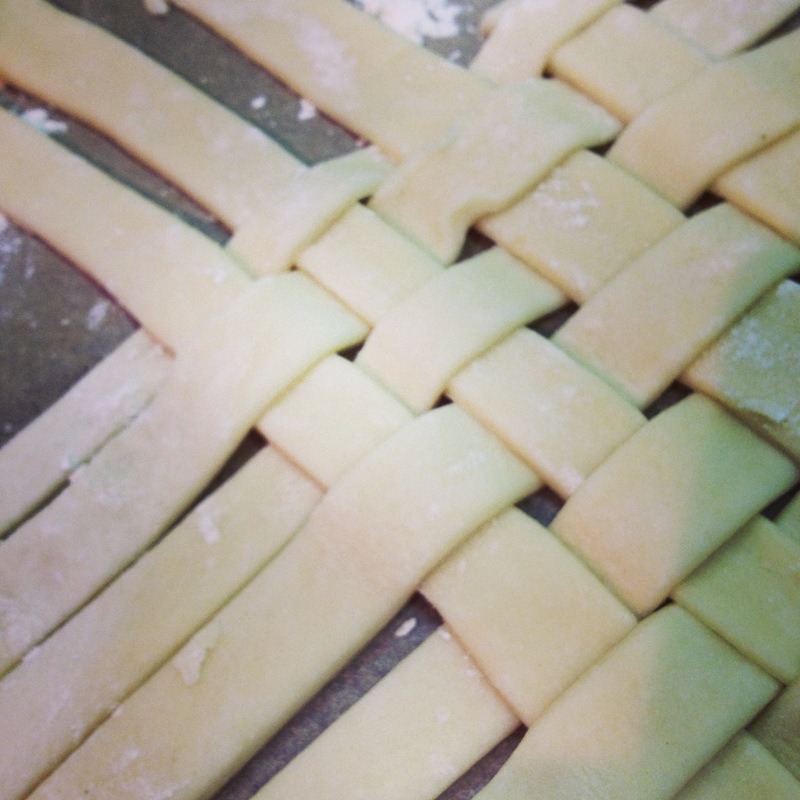 Lay the lattice disks out on parchment paper, and refrigerate. Remove the foil from the apples. 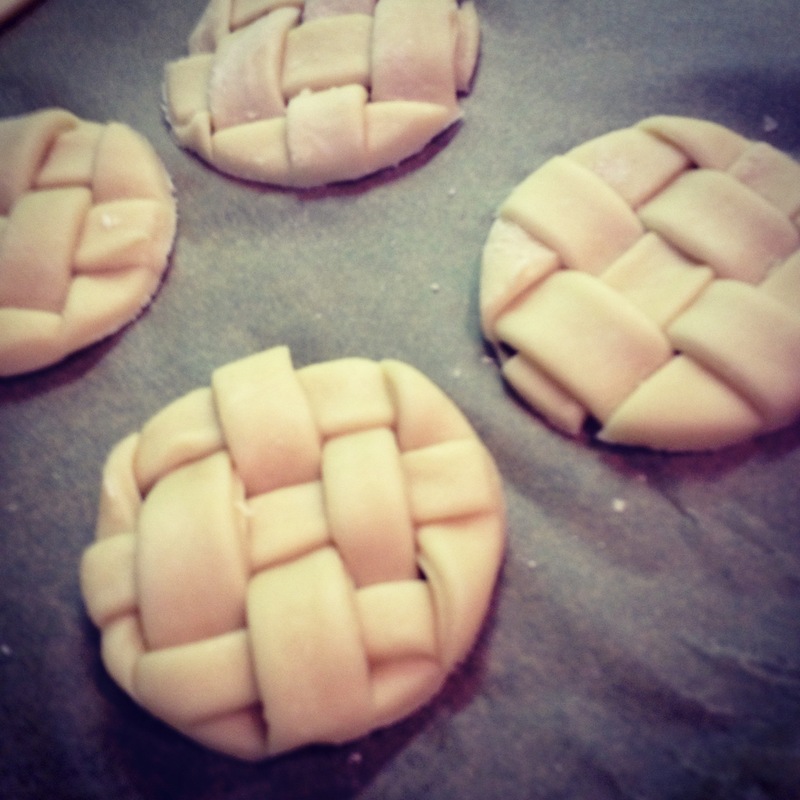 Brush the lattice disks with an egg wash, and sprinkle them with sugar. 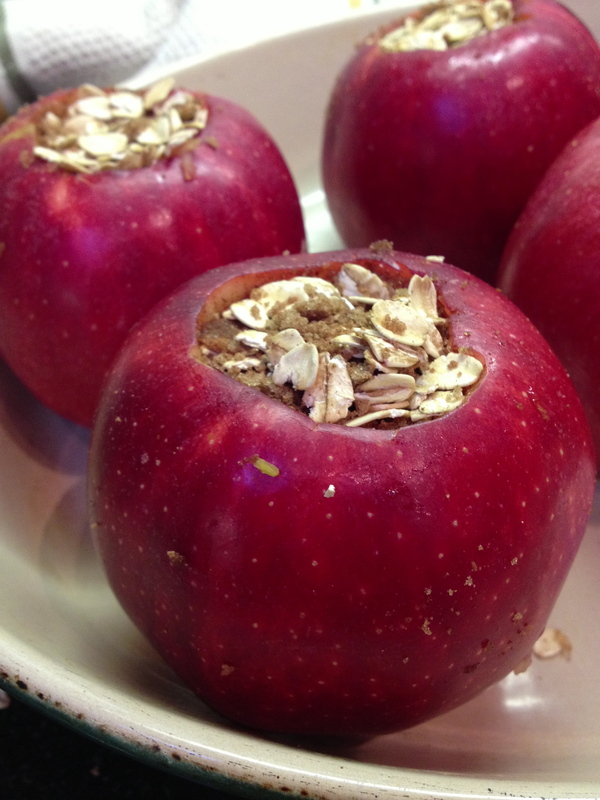 Gently set them on top of the apples, and press down lightly to make sure they adhere. Place the open pan back into the oven, and bake for another 25 minutes or so, until the tops are golden brown, and the apples are soft, but still intact. 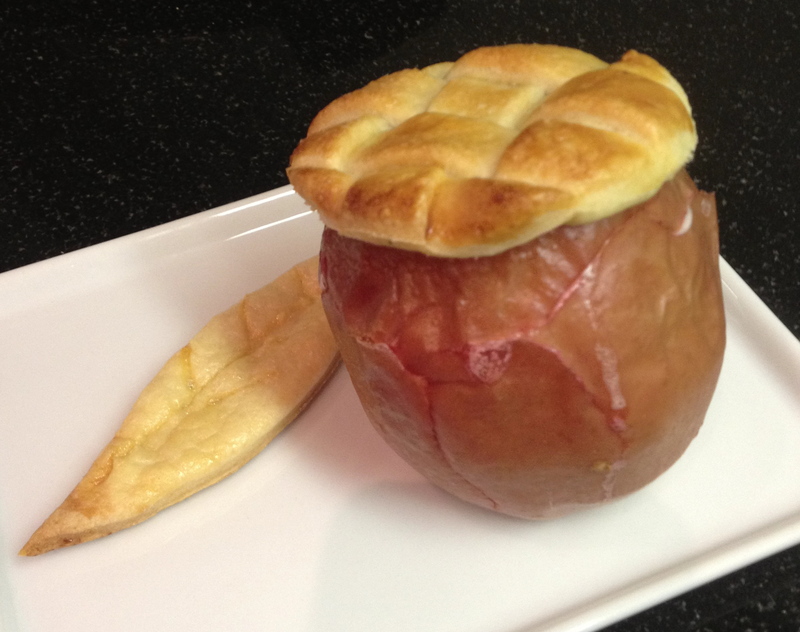 If you wish to skip the crust, and just make the baked stuffed apples, just omit the crust and return them to the oven uncovered. If the apples seem dry, add some more butter, or pour a bit of maple syrup over them before returning them to the oven. Serve alone, or with a scoop of ice cream and enjoy! We love shrimp; deveining them, not so much. This quick trick made the dirty and tedious job much easier. All you need is a pair of kitchen scissors. Use kitchen shears to cut along the top of the shrimp. Squeeze the tail and gently pull it off, and then peel back the shell. Pull the now exposed “vein” from the shrimp and put it on a paper towel. Be sure to rinse the shrimp under cool water afterwards, to ensure that all the unwanted debris gets washed away. Did you know that 40% of our food gets thrown out? 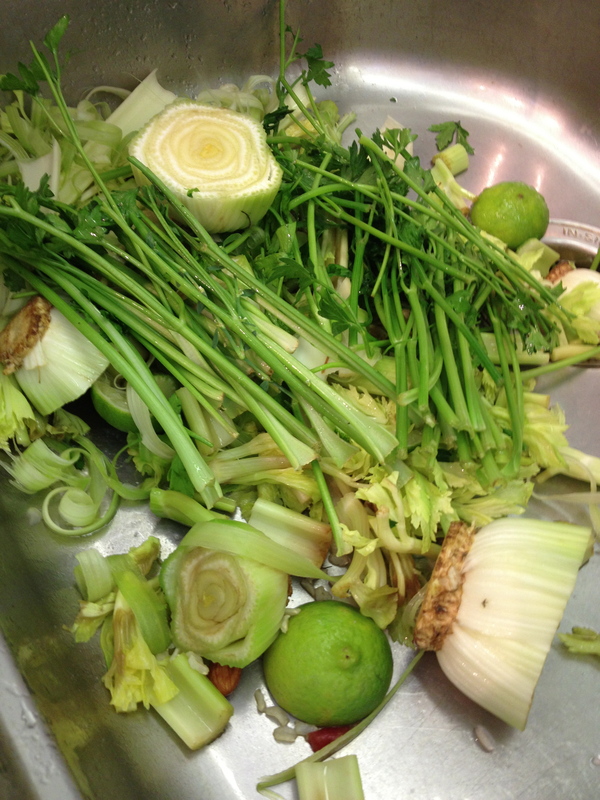 You might, since I have written about food waste here before. Watching the neighbors sifting through the bags outside of the grocery store across the street, searching for edible produce and newly expired dairy that has just been put out for trash collection brought the issue to mind once again. These are not homeless people. They are average Janes and Joes who are either budget conscious, into sustainability or both. Rauch is tackling the issue of food waste by taking recently expired, blemished and over-stocked items, and prepping it and cooking it for sale to be used in what he refers to as “speed scratch” cooking. He will offer the items at prices comparable to fast food. The Daily Table plans to open their hybrid stores; a mix of restaurant and grocery store, in underserved inner city areas across the country, in an effort to provide healthy, sustainable food options at a low cost. In the meantime, urban foragers will have to continue using a less dignified way to utilize food waste. After all it seems, one man’s trash is another man’s dinner. Strolling through the Union Square Greenmarket yesterday, I was taken by an abundant display of carrots. There were not only the classic orange carrots, but there were also purple and white versions on display. I was seduced to purchase some, and decided to roast them. They were delicious! Clean and scrape one bunch of carrots and cut them into 2″ or 3″ chunks. Toss them with a little olive oil or coconut oil, and some pure maple syrup. Sprinkle with a little sea salt and some cayenne pepper. Roast for about 45 minutes in a 350 degree oven until caramelized and softened. These carrots embody all of the sensational flavors of the season; sweet, salty, savoy and spicy! Eat them as a side dish, or dice them into an arugula salad drizzled with olive oil and aged balsamic vinegar. On Monday night we had a potluck dinner. One person has brought their “famous pad thai” every year since kindergarden (the kids are now in 8th grade). Cultural Differences: Delicacy or Disgusting? There are some regional delicacies that are enjoyed across the globe, but are banned in the United States. When looking at this list, we can’t say we are disappointed! The Scottish classic, Haggis is unavailable in the States due its prime ingredient: sheep’s lung. We guess the sheep’s heart and liver used in the pudding, or the sheep’s stomach it is served in is not a problem. Yuck! In Sardinia, maggot cheese is considered a special treat. The cheese is made by allowing flies to lay eggs in Pecorino cheese to speed the fermentation process. Once the larvae hatch and begin to eat away at the cheese, is becomes soft, mushy, and ready to eat. No thanks! In Taiwan, pig’s blood cakes on a stick are a specialty. The mix of rice and blood is banned here, as the process of making these “grossicles “is considered unsanitary. Try them? We think not! We have eaten shark’s fin soup in China, where it is considered a special dish to offer at a banquet. We didn’t know how cruel the process of acquiring the fins is. It seems the shark is “de-finned “and then released back into the water to die. While it is illegal to produce shark’s fin in the US, the use of imported fins is legal except in the state of California. Frankly, we find the soup a bit slimy, and certainly not worth the high price, both to the fish, or the purchaser. We think we’ll pass on this one in the future. While food safety in our country is substandard at best, at least they draw the line somewhere! No matter how sharp my knife is, I can’t seem to slice a ripe, juicy tomato without macerating it. Unless, of course, I use a serrated knife. A serrated or jagged edged knife, often referred to as a bread knife is the perfect tool to get a clean, precise cut on soft produce, such as tomatoes, figs, or grapes. Simply choosing the right tool for the job makes the work so much easier! Hating on wheat is the trendy thing to do these days. Everyone, it seems, has issues with the grain, and gluten free is the fashionable way to be. After reading an article in Harper’s Bazaar about the perils of today’s wheat, it sparked a lively discussion. In the book Wheat Belly: Lose the Wheat, Lose the Weight and Find Your Way Back to Health, by William Davis, it blames gliadin, a component of gluten, for causing our distress. Dr. Davis contends that wheat causes diabetes, heart disease and acne. He states that the gliadin found in wheat, and its interaction with the opioid receptors in the brain over stimulates the appetite and ultimately causes obesity. Later in the article, several other doctors disputed his theories as bunk, and states that other foods have this effect, including milk, soy and spinach. It’s difficult to know who to believe. I have heard people (myself among them,) discuss bloating, stomach distress, acne and “brain fog” as after effects of eating foods containing gluten. I have heard it blamed on the evils of American wheat vs. European wheat, and genetically engineered wheat vs. non-GMO types. Yes, the wheat we eat today is not the same wheat our fore folks ate hundreds of years ago, nor is it the same exact wheat we ate 50 years ago. It is not, however, the genetically modified Frankenwheat it is often accused of being. It is not legal to produce genetically modified wheat for commercial consumption in North America. Europe also does not permit their wheat crops to be genetically modified. There is no need to brag about flour or baked goods being non-GMO by labeling them as such, since all the wheat products in the United States and Europe fall into that category. Both countries are testing genetically modified wheat, but it is not available for consumption at this time. Wheat has undergone hybridization over the years, caused both by nature and from man helping the breeding process and therefore creating new species of the plants. While hybridization is naturally occurring, the low-tech process of assisting compatible species to merge has been going on since the beginning of agriculture. This process does not alter the plant’s genetic structure through use of chemicals or technology, and does not introduce genes from other kingdoms into the mix, as does genetic modification. Gluten is a naturally occurring protein that gives elasticity to dough. It is what helps it rise, and gives shape to the dough. Some grades of flour have a lower gluten content than others due to the milling process, but it is intrinsic in the natural makeup of wheat, as well as that of rye and barley. Gluten-free flours and baked goods come from the use of alternative flours, not from removing the gluten from wheat. That in fact, would require genetic modification. There is nothing going on in other countries that would make their wheat more palatable, or digestible than ours. Some common alternative flours are almond meal, garbanzo flour and coconut flour, among others. They often alter the consistency of the food, and can rarely be substituted in a recipe without adapting it accordingly. While only 1 out of 100 people have Celiac disease, which makes it impossible for their body to process the gluten in wheat and other products, the rest of us are fully able to digest it. While that number is indeed higher than it was 50 years ago, it is still quite low. Many attribute the increase in Celiac disease to the fact that more and more people are being tested for it. Gluten is also being used in many medications, cosmetics and processed foods, which exposes us to much higher quantities of it than ever before. Going gluten free, or even just opting to go wheat free does have its benefits for the mass population. Most people experience weight loss from cutting these products from their diet. Eliminating bread, pasta, cookies, cakes and other flour-based foods eliminates substantial calories. As people reach a healthy weight, they tend to experience less health symptoms. Wheat or not to wheat, that is the question. If you suspect you have a problem with wheat, even though your doctor has ruled out a real allergy or Celiac disease,try eliminating wheat based foods, or gluten based products from your diet for two weeks and see how you feel. If you feel more energetic, and your skin or digestive issues improve, then go for it. If it doesn’t seem to have much effect, keep whole grains in your diet for the fiber, vitamins and minerals they offer, as well as the joy we often get from eating them. Then sit back, relax and wait for the next food villain to emerge. Isn’t it funny to see a post here about onions, written by someone who absolutely detests them? What’s next, a post about sprouts? ( I think I would rather eat an onion than a sprout but I digress…) Onions are a necessity in cooking, and love ’em or not, I use them frequently. While many people think an onion is an onion, I beg to differ. There are fine nuances in different types of onions, and using the right one will greatly enhance your dishes. Yellow onions are the most common. They are also the most versatile, and work well in soups and stews, roasted meats and poultry. Although these onions are astringent, they also have a high sugar content which is released during cooking. Brown them up and they get a sweet. caramelized quality that even I enjoy. Personally, I like to use shallots when appropriate. They are small and clove-like, and have a milder taste than some onions. They work well in sautes, vinaigrettes, and with lighter dishes such as eggs (think quiche for example) or vegetables. The flavor is more subtle, and their diminutive size prevents onion overload. White onions are often used in Mexican cooking. They have a strong, sharp flavor and very little sweetness. Due to their high water content, they remain crisp in salsas and stir-fries. Sweet onions, such as Vidalia, have very thick layers making them chief contenders for great onion rings. Try them in French Onion Soup, or gratins. Bonus: the high sugar content and low sulphur content makes them more palatable and cuts down on the stinky after effects of onion eating. Last but not least, my nemesis, the red onion. Long touted as the ultimate garnish for a burger, these are best for eating raw. They are sharp and pack a punch, but are a little less strong than a white onion. I have been known to surgically remove each spec of them hiding in my food before consuming it. Since I have to say something nice, I will admit that these stinkers are awfully pretty when added to salads and sandwiches. 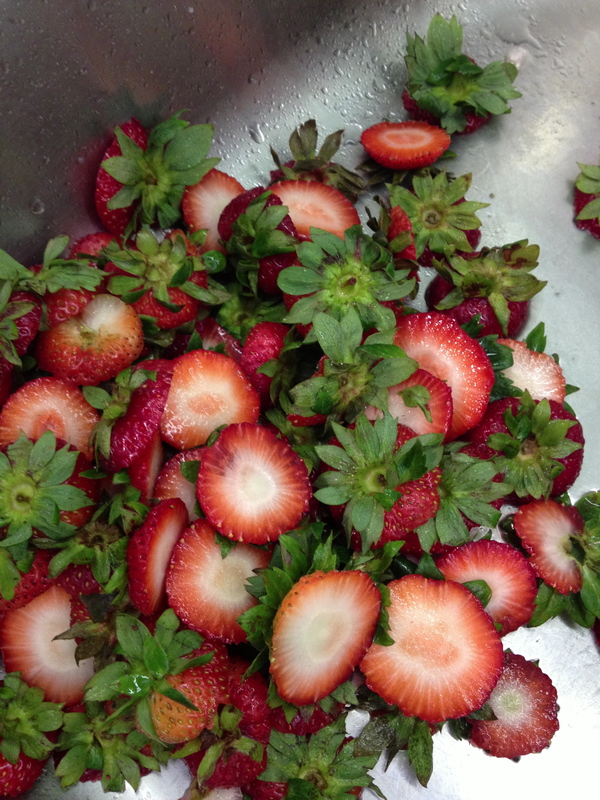 Soaking them in ice water before serving takes a bit of the edge off, by reducing the sulphur content. Next time a recipe calls for an onion, use these guidelines to choose the type of onion that best suits your dish and your palate.